Most of the news about Rhinos are about poaching and death. But today we have some good news! 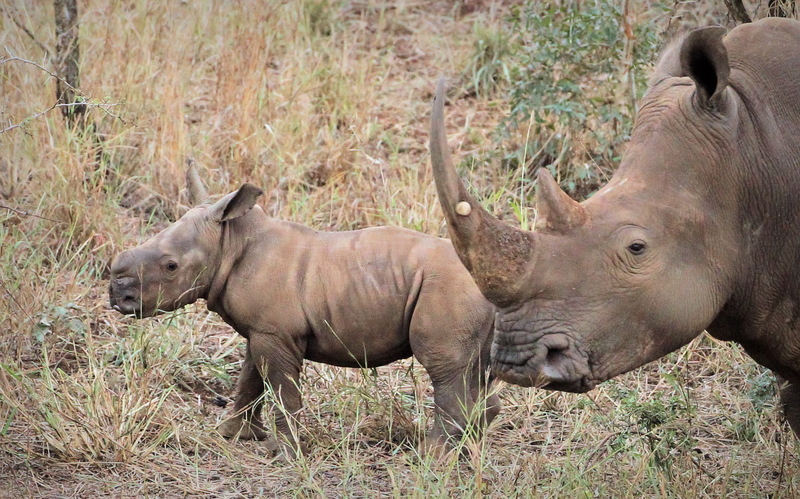 A newly born White Rhino calf. 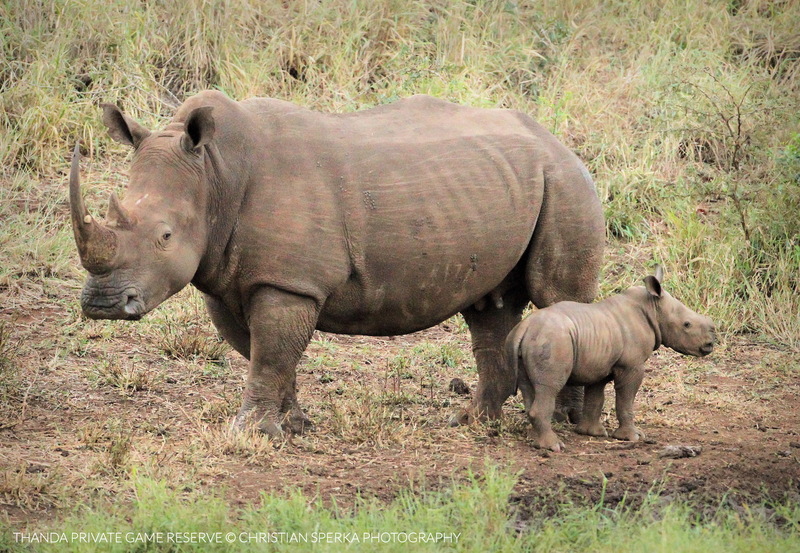 Thanda guests were delighted to encounter this little Rhino calf with her mum. The little girl is less than two weeks old, but has already an inquisitive nature. 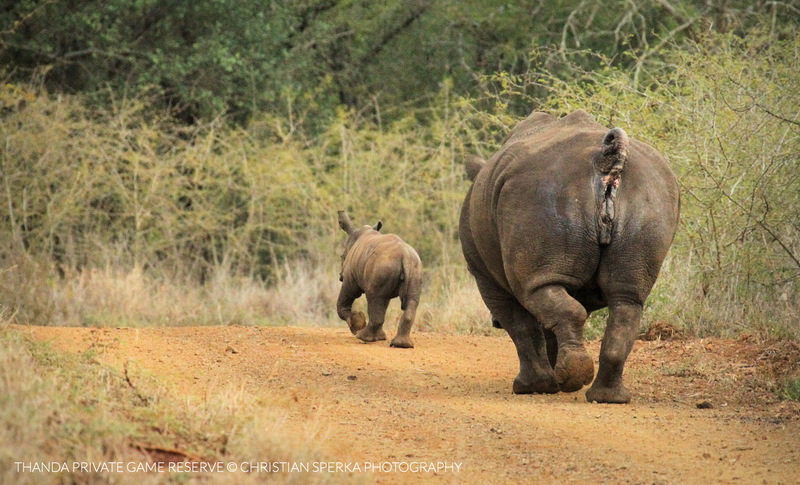 Mum is very protective of her little girl and walked her around the game drive vehicle up to the road. Then both of them disappeared into the bush. 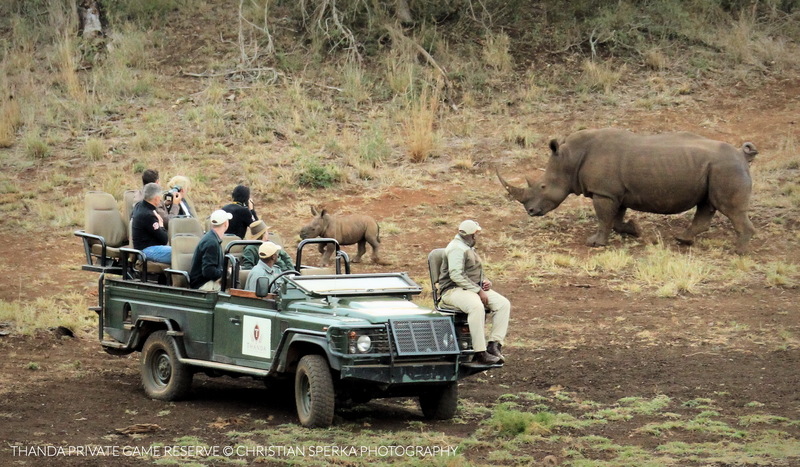 Sightings like these give one hope (Ithemba in the Zulu language), that these magnificent creatures will survive the human desire for their horns! 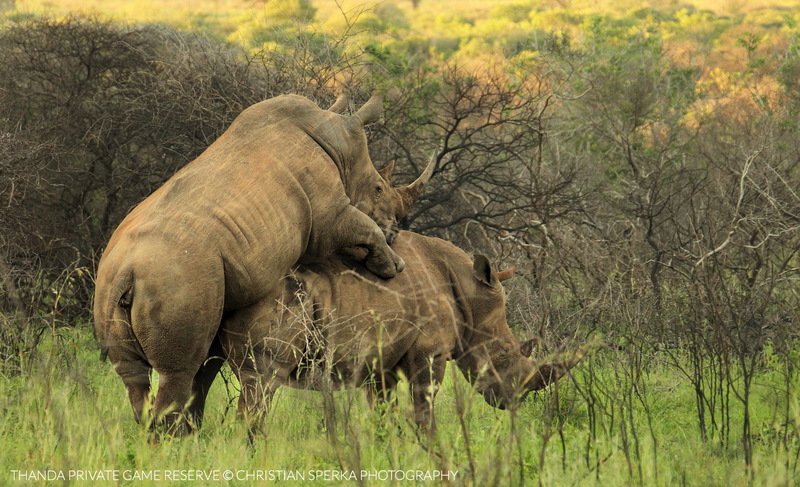 We always hear bad news about rhino’s and their poaching. It is really nice to hear some good news! Also, these photos are absolutely fabulous!! !